Clinton-Sherman Industrial Airpark (CSIA), formerly Clinton-Sherman Air Force Base and Clinton Naval Air Station, encompasses approximately 3,000 acres in western Oklahoma adjacent to the Town of Burns Flat. The Air Force closed the facility in 1969. Then in the Summer of 1971, the property was deeded to the City of Clinton. Currently, the Airpark is leased to the South Western Oklahoma Development Authority (SWODA) for operation and maintenance. In March 1955, approximately 2,700 acres were transferred to the Air Force for use as a Strategic Air Command (SAC) fighter and satellite bomber base. 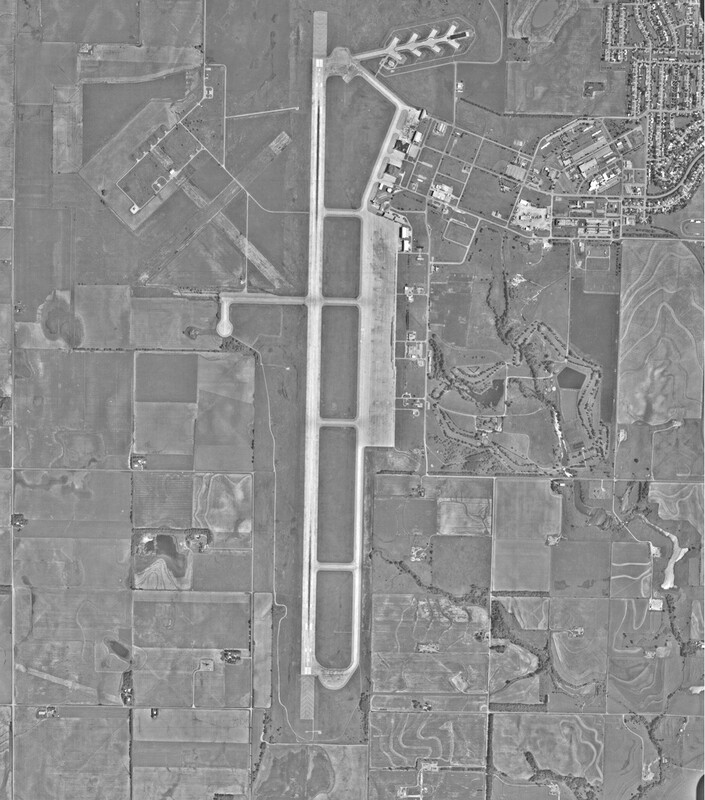 A new runway, several large nosedocks, and numerous other support facilities and buildings were constructed for use by SAC. Nine hundred housing units were added to accommodate the personnel required to operate the base. The Air Force operated its Strategic Air Command (SAC) Base from 1954-1969. During this time period, B-52 Bombers were the main aircraft located at Clinton-Sherman. Air Force personnel stationed at Clinton-Sherman included the 98th Bombardment Squadron assigned to the 4123rd Strategic Wing (1959-1963), and the 6th Bombardment Squadron assigned to the 70th Bombardment Wing (1963-1969). A dispersal program by 2nd Bomb Wing at Barksdale AFB included deployment of Detachment 2 to Amarillo Air Terminal (formerly Amarillo AFB) and Detachment 3 to Clinton-Sherman Industrial Air Park (formerly Clinton-Sherman AFB). Both detachments were active from around 1969 until 30 March 1975 when they were inactivated. The history of Clinton-Sherman began in 1942 when the United States department of Defense purchased 5,000 acres of land for the Clinton Naval Air Station. The installation was used to train pilots and as a base for their training planes. In the 1940's the skies around the Clinton Naval Air Station were filled regularly with aircraft. The U.S. Navy used the airfield for training purposes. In June 1946, the Navy ceased operations, and the Clinton Naval Air Station was closed and all facilities were turned over to the War Assets Administration. The City of Clinton acquired the land and buildings from the War Assets Administration in 1947. Sherman Iron Works leased space in the facility renamed Clinton-Sherman Airport, for use in salvaging surplus combat aircraft and parts. Thousands of the aircraft that were surplus from World War II were dismantled for their metal and surplus parts. In 1954, the United States Military again returned to the site then renamed Clinton-Sherman Air Force Base for pilot training and development of aircraft equipment. In 1969 military operations were de-emphasized, and Clinton-Sherman was designated for closure. On December 31, 1969, the Air Force closed the installation. The Midwestern Oklahoma Industrial Foundation was formed to represent a four county area around the facility. The foundation then sponsored legislation to create the Midwestern Oklahoma Development Authority, which was granted the power to issue revenue bonds. 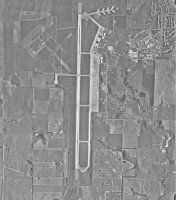 After consulting with federal economic advisors, it was determined that the largest portion of Clinton-Sherman should be developed as an Industrial Airpark. Recreation, housing, and a Vocational-Technical School were recommended for the remaining land. The Air Force maintained caretaker activities until the property was deeded to the City of Clinton on June 25, 1971. The city granted leasehold interest to a portion of the site to Midwestern Oklahoma Development Authority (MODA) which sub-leased portions of the facility. The 900 unit housing area was put up for bid by the federal government and was purchased by MODA. A large area of the property was also reserved for educational purposes and is now occupied by the Western Technology Center. By 1974, Clinton-Sherman Industrial Air Park, with its 13,502-ft. runway, had attracted nine manufacturing firms, two field servicing companies and 14 other commercial enterprises representing 562 new on base jobs and an estimated 900 additional jobs in the area. In October 1989, the leasehold agreement between MODA and the City of Clinton for the rest of the Airpark was terminated. On July 1, 1993, the City of Clinton leased the Airpark to SWODA. Western Technology Center acts as a big drawing card in luring industry. Locating the school on base meant that fifteen area schools could be combined into a single educational facility, which new or expanding industries can use as a labor pool of willing workers. The military to civilian conversion showed the clear thinking and resolution on the part of community leaders to go to work and make the most of the opportunities presented. What was originally an unfortunate stroke of bad luck was reversed, using a combination of determination, cooperation, the existing military facilities, and available government planning and financial help Clinton-Sherman Industrial Airpark persevered. When he took over as Eighth Air Force commander in 1987, General James P. McCarthy sought to develop realistic conventional deployment exercises for his bombardment wings. He encountered resistance from Headquarters SAC, the NAF staff, and his wing commanders. Nevertheless, he persevered in developing an exercise that would have bomb wings deploy seven-bomber packages to relatively austere airfields to fly two weeks of conventional training sorties in Red Flag or similar exercises. This was a tall order for bomb wings used to operating almost solely from home station. McCarthy overcame the objections of higher headquarters to deploy the first unit (the 97th Bombardment Wing) to Clinton-Sherman Industrial Air Park, Oklahoma, in less than three months' time. The resulting Mighty Force exercise program saw Eighth Air Force bomb wings deploy to a variety of continental US (CONUS) and overseas locations, set up tent cities, feed the troops from mobile kitchens, conduct bladder refueling, use mobile communications systems, respond to mission-type orders, and keep aircraft flying for two weeks of intense conventional operations.